A new airport, improved road and rail links, a fleet of dream buses and “Youth Bible” are among features projected for the Catholic Church’s 14th international celebration of World Youth Day in Krakow, Poland, in 2016. “It’s still 16 months to go, but the planning is well advanced,” said Msgr Bronislaw Fidelus, a co-organiser of the event scheduled for July 26 to August 1. “There’s huge interest abroad, and we’ve already registered large church groups from the US, Europe and Latin America. We’re sure the theme of Divine Mercy, chosen specially by the pope, will create a real openness to Christ among young participants,” Msgr Fidelus said. World Youth Day organisers expect the 14th international event will attract more than 2 million people from around the world. Msgr Fidelus said the program was approved on March 13 by a Vatican delegation under Cardinal Stanislaw Rylko, president of the Pontifical Council for Laity, adding that the Polish church counted on the five-day event to renew the faith among young Catholics everywhere. “Having hosted several pilgrimages by the late St John Paul II to his home city, Krakow is well equipped and prepared for large-scale events like this,” Filip Szatanik, spokesman for the Krakow City Council said. 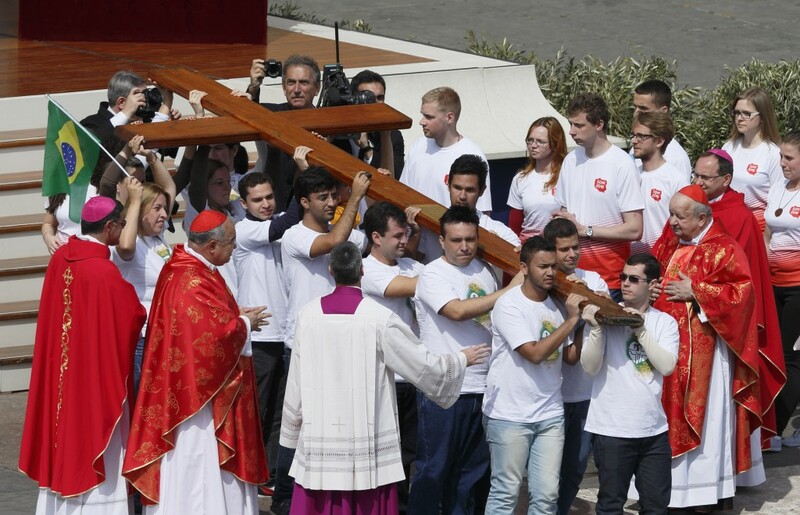 Launched by St John Paul II in 1985, World Youth Day is celebrated annually on a local level and every two or three years with an international gathering with the pope. They added that the “virtual prayer marathon,” launched on March 13, would enable young Christians to show where they were “praying to change the world,” or requesting prayers, by clicking on a website, www.mayfeelings.com/prayforwyd. “The young have been leaving the church here – we need some shock, some impulse, to halt and reverse this trend,” Father Kijowski told KAI, Poland’s Catholic information agency.